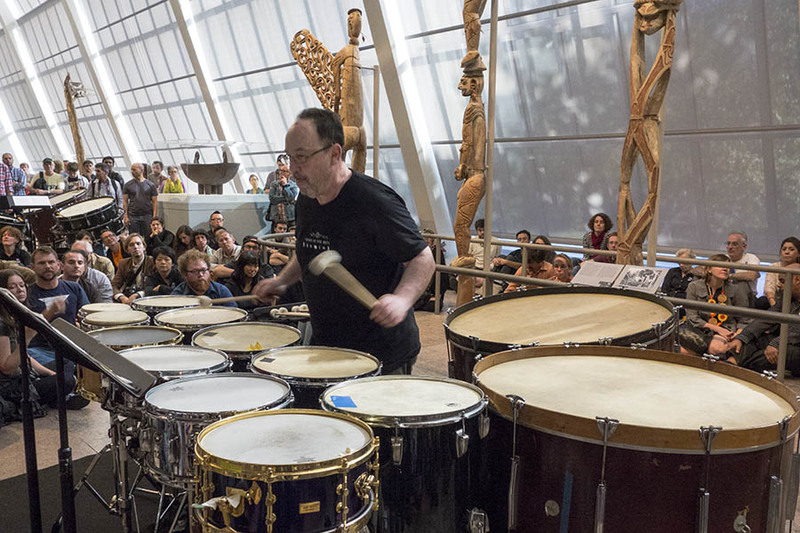 Concurrent affiliations: principal percussionist, San Francisco Contemporary Music Players; artist-in-residence, Mills College (Abel-Steinberg-Winant Trio), John Zorn Chamber Ensemble, Mr. Bungle, Mark Morris Dance Group, extra percussionist for San Francisco Ballet Orchestra; faculty, UC Berkeley. Performances: Cabrillo Music Festival, Pierre Boulez with the Los Angeles Philharmonic, San Francisco Symphony, Kronos String Quartet, Steve Reich and musicians, Yo-Yo Ma, Oingo Boingo, Charles Wourinen, and Frank Zappa. Interests: performance of new works for solo and multiple percussion, and integration of this medium with analog and digital electronics; world music, especially Balinese, Javanese, and South Indian Classical Carnatic music. Performances: in collaboration with Anthony Braxton, Gordon Mumma, Alvin Lucier, Lou Harrison, John Cage, Iannis Xennakis, Danny Elfman, Ralph Shapey, Terry Riley, Sonic Youth, and John Zorn. Recordings: more than 100 recordings of new music, rock, and jazz, including works by Lou Harrison (New Albion), the Glenn Spearman Double Trio (Black Saint), Siouxsie and the Banshees (Polydor), Mr. Bungle (Warner Brothers), Sonic Youth (Geffen Records, SYR4), and the sound track of Tim Burton’s film Batman Returns (Warner Brothers). Pedagogical philosophy: emphasis on the study of musics from Western and non-Western cultures and on solo and ensemble performance.